She tells me that’s one of the reasons she married me thirty-eight years ago. And she also says it’s still true today. I owe a lot to Bill Cosby. He has modeled (for several generations now), how humor highlights the most precious aspects of our human lives. He also showed us how a real man works hard to accomplish his goals, and keeps the promises he makes. And now, approaching the winter of his life, Cosby continues to inspire. My wife and I have always wanted to see him perform. This summer that dream came true. He offered the audience two full hours of good natured (healthy) laughter with an ample dose of self-introspection as well. Cosby began his performance (at one of our Washington State fairgrounds) by commenting on our lovely weather. He noted that every other time he had spoken outdoors that it had poured. He suggested that there was something demented about Washingtonians wanting to watch entertainers on stage being drenched while they are handling microphone and other electrical devices. I refer to Cosby’s presentation as a “performance,” but it was far more than that. It is no exaggeration to say that it was like being invited to an intimate family gathering. One where everyone has gathered around—and the audience was filled with people of all ages—to hear their witty patriarch weave delightful stories about their shared past and mysteries of life. Bill Cosby embodies the truth spoken by C.S. Lewis in The Screwtape Letters: “Humour is . . . the all-consoling and . . . the all-excusing, grace of life.” Cosby is, in a sense, an ambassador of humor. Or, even, a physician of humor, whose words carry the power to heal. I’ve always liked Cosby. I was introduced to him on a vinyl album my family had. We probably owned several, over the years, but this one was his debut album, recorded live in 1963. As a young Christian, I was particularly captivated by his three sketches about Noah. (If you’ve never heard the routine, check out my note at the bottom of this column.) Only today, in the fall season of my own life, does it dawn on me just how profound an effect his comedy had on me. I believe that was the first time I became aware that matters of faith could be funny. Not diminished by ridicule, but uplifted by laughter. It was okay to enjoy discussing serious matters, by highlighting some of their humorous aspects. In a world where so many of faith’s spokespersons were dour and humorless, seeds of mirth were planted in my life. Thank you, Bill. Those seeds have born fruit. They have never undermined my recognition of the authority and trustworthiness of the Scriptures. But, at the same time, they have opened my eyes to the warmth and wonder of the Creator who spoke the cosmos into existence. Cosby engaged us with an exploration of humanity’s creation, and moved on into a delightful conversation about the differences between men and women. He spoke about his beloved Camille and his children in ways the entire audience connected to. His deep affection for his family resonates even as he uses them as a comedic foil (actually, the majority of his humor is self-deprecating). Here’s a simple truth. A winsome witness to the faith, who can laugh with one of America’s finest humorists about their beliefs, will win far more “converts” than someone who does not know the joy that comes from being God’s child. For those unfamiliar with Bill Cosby, allow me to offer a note about only a few of his many accomplishments. He served for four years as a hospital corpsman in the United States Navy. He attended Temple University on a track scholarship, where he also played fullback on the football team. He has an earned doctorate (not the “honorary” type that adorns many public figures). 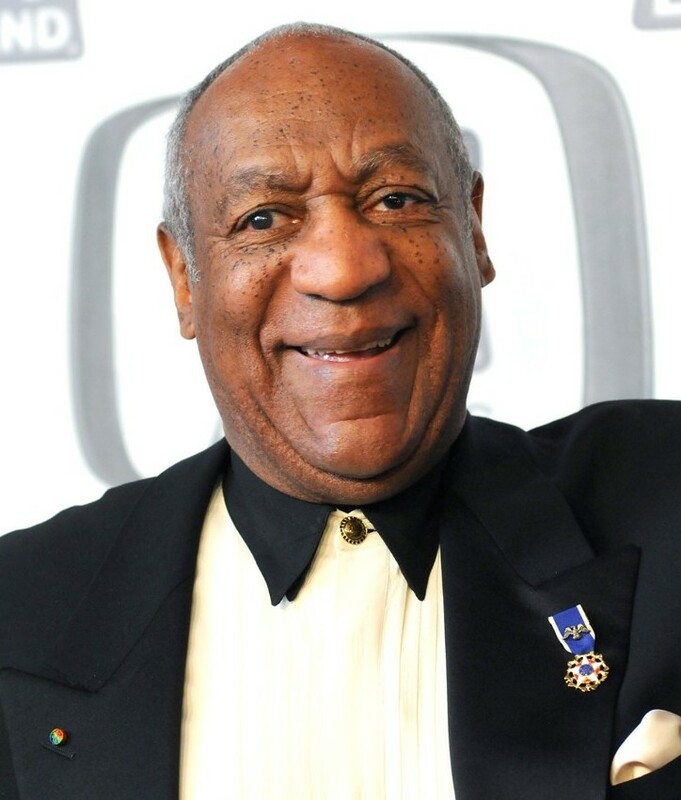 Doctor Cosby earned his Doctor of Education degree in 1976 from the University of Massachusetts Amherst. On the amazing espionage series, I Spy, Cosby became the first African-American to co-star in a dramatic series. (I remember being riveted to the show, identifying more with Cosby’s thoughtful portrayal than with the shallower, flashier persona of Robert Culp.) Apparently, many recognized Cosby’s acting prowess—he won three consecutive Emmy Awards during the show’s run. Cosby’s acting prowess was proven repeatedly through television accomplishments, most notably The Cosby Show, which overwhelmed its competition. He is a gifted musician and has recorded a dozen music albums. He is also a skilled writer, and has written a dozen books. He is a genuine family man, whose devotion to his wife, children and grandchildren is unquestioned. He also has gracefully born the pain of losing his only son quite tragically. He has courageously confronted some of the serious issues facing the poor in the world’s most prosperous nation. He has put his talents and treasures where his words are, seeking to reinforce the value of education in communities where far too many condemn themselves to poverty by dropping out of school. Bill Cosby is an amazing man. He is a person to be respected, and heeded. I can think of no better compliment from the woman I love than hearing that I remind her of him. In the picture above, Cosby is wearing his Presidential Medal of Freedom, awarded to him in 2002. If you’ve never heard Cosby’s account of God’s conversation with Noah, your life is incomplete. Fortunately, you can remedy that sad situation by viewing a brief version of it here. If you’re interested in a brief survey of Cosby’s impact, this clip provides an excellent introduction.